* Prices are per session. If the area you are interested in receiving IPL treatment is not listed, please contact us. * POA = Price On Appointment. Some people require more or less shots than others. Prices vary depending on the size of the area. On larger/smaller individuals more/less time and shots will be needed. 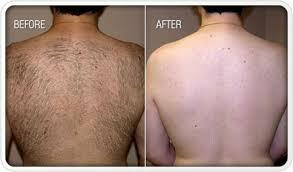 There are many businesses offering cheap IPL treatments. It may seem like you're getting a great deal. BUT more often than not, they are using an inferior machine, cheap, low-quality equipment and may not be qualified or have the right training. The price may be cheap but the damage they can do will be costly! At Ridge Clinic, we strive to keep our prices competitive. But we will not sacrifice the quality of our equipment to offer the cheapest prices in the area. * Ridge Clinic reserves the right to make changes to its prices and specials at any time.